When you begin to specify the criteria to promote your campaign, Facebook tells you how many people you will reach. Be sure to avoid too wide or too narrow targets, always consider your budget and the number of people you really want to reach. An example might be a local plumbing service, it doesn’t make sense to choose an Audience in New York if you are based in California. Though obvious, we’ve seen this in campaigns we’ve previously reviewed for clients. If you want to promote the same campaign for different countries, start thinking about multi-segment campaigns. Remember that each country has a different culture, language and set of customs than your own. One of our multinational clients, Vapor Talk (Full disclosure, Vapor Talk North America­® was founded by Christopher McCowen, who also owns Chrisorah Development) experienced lackluster traffic upon their launch in 2015. While it’s US based website followed a classic, clutter free design, this proved to be counterproductive in it’s corresponding Chinese market. Chinese internet users have become accustomed to flashy websites with an overwhelming amount of clickable content. While we tend to stray away from this type of design in the US, it flourishes in countries like China (this is a simplified example of what was a much more complex issue). So, you have the campaign ready and you’re anxious to promote it on the Facebook thinking that everyone loves your brand. Beware, consumers do not always share your interests. Market surveys can help you better understand your audience and what they really want. You may also want to consider consumers that are interested in different products, but similar in nature. For example, advertising your AudioBook website to customers who actively own a Kindle device. A good campaign succeeds only if it is well segmented. We don’t suggest mass mailing contacts from a huge list of emails with no targeting criteria, it just doesn’t work. Target your audience by age group. The 16-year-old consumer, for example, likely has interests different to someone in their 30’s. It’s amazing how quickly the world evolves. Just last week I had to explain to my son what advertising was. As a Netflix user, my children have grown up with on demand, uninterrupted and ad-free content. My children were perplexed at why someone would bother to sit down through an advertisement to simply watch a video. Imagine their horror when I had to explain Dad’s TV used to have knobs and that remotes where reserved only for the finest television sets. You get out what you put in. Advertising is expensive but when done properly, can be extremly effective. If you’re reading this article, well, our marketing strategy is working. Even more so if you Contact Us (shameless plug)! You should aim to reserve 8-9% of your gross revenue on marketing. It is recommended that you apply a large budget to short-term campaign rather than betting on something big, that lasts several days. Try something smaller, with a high budget and monitor performance carefully. Remember: You can pause or stop your campaign if something doesn’t work out. Stay on top of your statistics, don’t’ waste money or time on boosted posts that produce little if any results. If an ad isn’t performing well, stop the promotion and consider using different text, an alternative image or message. Take a moment to put yourself in your customers shoes. It’s always interesting how far we go to block and ignore ads, yet when you’re on the other end of the stick, can’t figure out why results are lacking. Be sure your content is interesting and conversation worthy. Another common mistake on Facebook Ads is to think that when you publish an ad it will automatically convert users into customers. Alas if only it was this easy. In a competitive environment such as Facebook, it is increasingly difficult to stand out, and the only way to be able to win this challenge is to be creative. A great example is The Weather Channel. Over the last year or so we’ve noticed their page likes and interaction jump. After a quick review we saw a significant jump in videos over images. The videos aren’t always closely related to weather but often follow similar categories and their user base eats it up. An example was a video showing the world’s longest zip line. 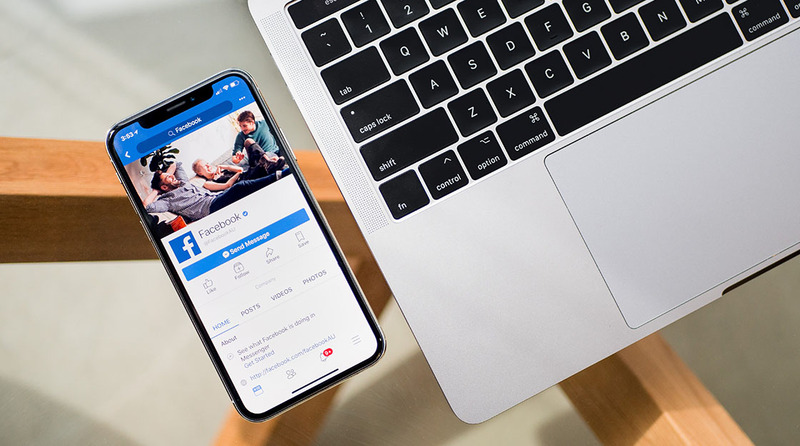 Remember, you Facebook page isn’t just about shoving advertising down a customer throat but ensuring they can relate and interact with you as a brand. Advertising isn’t always about immediate conversion. Rather it’s to plant a seed in the mind of your customer, ready to bloom when you offer what they’re now ready purchase. Let’s again take Coca Cola for example. Ever been in a busy drive through line with pressure to make a quick decision? More often than not, customers will automatically default to “I’ll just take a Coke.” While this is changing as water becomes the clear choice for consumers these days, the point remains the same. You want your customers to default to your brand when the solution they need is your company. Even more so when they need to make a quick decision. An image that overwhelms your ad can end your campaign. Remember that the size (100 x 72 pixels) is small and something big can make the campaign unreadable, besides annoying the viewer. Remember, your audience will only have a few seconds to observe your content, moreover, it is not always guaranteed that the ad will become a like or share. You need to catch the audience first with attractive content. Perhaps you have Photoshop installed, like we do. It’s a tool and one needs to use it correctly. While I love my childrens artwork, there’s quite a difference between what my children can create with paint versus a well seasons, expert artist. We’re always available to help you create unique and interesting ads. There are many subtle but important aspects that go into marketing and advertising. It’s impossible to discuss them all in a single blog post. Hopefully these tips will help lead you in the right direction. I’d like to leave you with the following video below, a favorite of mine. Well known Aaron Draplin shows the process of creating a fictional logo and the work that goes into it. It really is fascinating.